It’s no secret that we’re big fans of basically anything that Orville Neeley and his crew of Austin rock’n’rollers touch. The latest release from Bad Sports on Dirtnap Records — excellently titled “Bras” — sounds like a Dictators record featuring Paul Collins. It’s a direction for the band that we can’t wait to see in person. 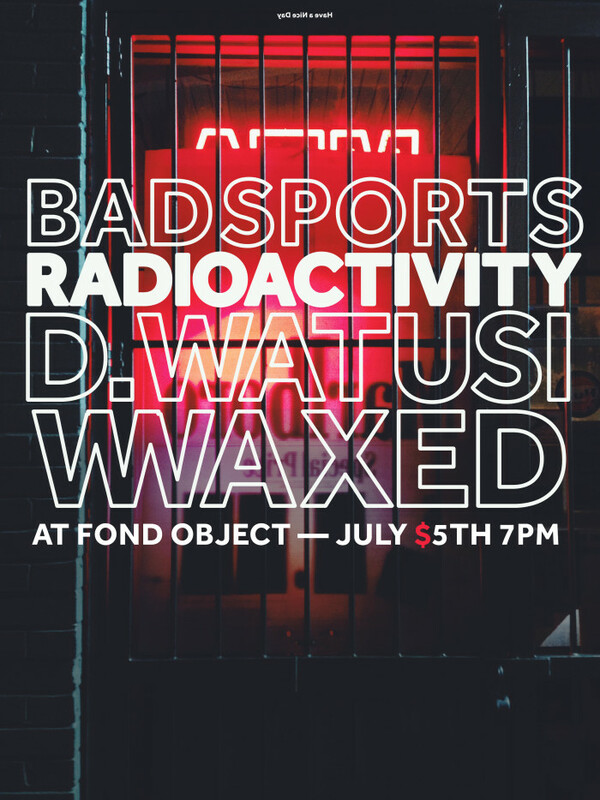 You’ll have the chance to join in on the good times at their upcoming show with our buds at Fond Object on July 5th at 7pm. Get there early and we’ll all hang. Hometown boys Waxed and D. Watusi are set to open the show, so if it wasn’t already obvious, it’s gunna be tite summer fun.